Protect your kids from the sun with this water resistant sunscreen SPF 30! For Kids Only. This product is non-greasy and PABA free. This product is designed especially for active kids. 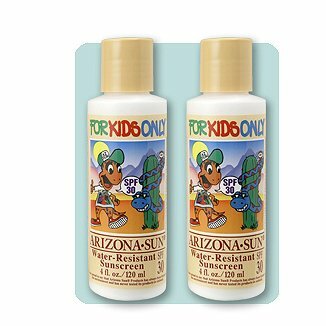 It is blended with Arizona native cacti and sun screen protectants for the ultimate sun protection just for kids! If you have any questions about this product by Arizona Sun, contact us by completing and submitting the form below. If you are looking for a specif part number, please include it with your message.